The banking business in India is supervised and regulated by the Reserve Bank of India (RBI), the apex banking authority. Among other things, the RBI acts as banker and treasurer to the government of India (GoI), and is the lender of last resort. The RBI is responsible for regulating currency issuance and circulation, foreign exchange control management, public debt management and safeguarding the overall financial health of the country. Historically, the three main categories of banks in India have been public sector banks (PSBs),2 private sector banks3 and foreign banks.4 Recent entrants in the banking space include holders of limited banking licences known as small finance banks (SFBs) and payments banks. In 1993, the RBI issued guidelines for licensing private sector banks (i.e., non-state-owned banks incorporated in India) and granted licences to 10 new private sector banks. Over the years, the RBI has continued to update the licensing regime for private sector banks, and issued four banking licences during the limited windows that were opened periodically, between 1993 and 2013. However, on 1 August 2016, in an unprecedented move, the RBI introduced an ‘at will’ licensing regime for private sector banks, permitting them to apply for a universal banking (or fully fledged banking business) licence at any point in time. As of March 2016, private sector banks accounted for more than 21.5 per cent and 24.1 per cent respectively of the deposits and credits in India. While there is parity in regulation between the above-mentioned categories of banks, the regulatory regime and ownership guidelines vary for each category. This chapter aims to set out the applicable legal regime for all major categories of banks in India. The RBI and the GoI have undertaken various measures to move towards a cashless economy by digitisation of payment services. To provide an impetus towards digital payments, the GoI has proposed the use of blockchain technology in the recent Union Budget 2018–2019. The GoI has also proposed mandating large corporates to use bond markets to finance one-fourth of their fund needs, which not only signifies a shift from the traditional mode of bank financing, but it is hoped it will also boost the debt capital markets in India. Following the global financial crisis and recommendations of the Financial Stability Board (FSB),13 the RBI has also adopted a framework for designating certain domestic and foreign banks in India that are ‘too big to fail’ as ‘domestic systemically important banks’ (D-SIBs) and ‘global systemically important banks’ (G-SIBs), respectively.14 In addition to ICICI Bank Ltd and SBI, the GoI has identified HDFC Bank Limited as a D-SIB, as the continued functioning of these banks is critical for the uninterrupted availability of essential banking services to the Indian economy. The RBI has prescribed additional capital requirements and increased supervision for these banks. Recently, IDFC Bank Limited (a private sector bank) and Capital First Limited (a financial institution specialising in debt financing) announced a merger, pursuant to which IDFC Bank Limited will transform its portfolio from a dedicated infrastructure financier to a well-diversified universal bank. While, on the one hand, the banking industry in India is looking at consolidation (such as the merger of the SBI with its subsidiaries last year and the merger of IDFC Bank Limited with Capital First Limited) with a view to strengthening the loan portfolio and financial soundness of banks and reaching a wider customer base, there is a need to also strengthen the internal and external audit norms governing banks to contain instances of fraud and money laundering. For instance, the GoI is currently investigating an account of Punjab National Bank (PNB), one of the biggest PSBs in India, for a fraud of over 110 billion rupees.15 The PNB fraud scam, one of the biggest in Indian history, has exposed the need for stricter vigilance of the internal and external audit procedures of all banks. The RBI is the key regulator for all banks, and it regulates all public deposit-taking and lending business in India. Any entity accepting demand deposits from the public and lending to the public must necessarily be licensed with the RBI as a bank. All banks in India (including foreign banks operating through RBI licensed branches) are governed by the RBI Act, 1934 (the RBI Act) and the Banking Regulation Act, 1949 (the BR Act). In addition, most PSBs are incorporated, governed and licensed by and under their specific legislative enactments. Most of the PSBs are listed on the stock exchanges in India, with the GoI holding and controlling a majority stake in them. Private sector banks are primarily governed by the BR Act and the RBI Act, and are licensed to undertake banking activities by the RBI. Payments banks are a relatively new category with a limited banking licence, and are not permitted to undertake lending activities. They are expected to provide small savings accounts and digital payments and remittance services to migrant labour workforces, low-income households, small businesses, other unorganised sector entities and other retail users. Unlike universal banks, payments banks are permitted to undertake only limited activities, including acceptance of demand deposits, issuance of debit cards, internet banking and acting as business correspondents18 for other banks. So far, the RBI has issued final licences to seven payments banks, out of which only four have started their operations. SFBs are expected to cater for the banking requirements of micro and small enterprises, agriculture and banking services in unbanked and under-banked regions of the country. These banks are permitted to undertake the basic activities of accepting deposits (both demand and term deposits) and lending to non-served and underserved sections. Many entities have shown an interest in the SFB space, and 10 entities have already received a final licence from the RBI. The RBI has also issued banking licences to RRBs to further its goal of financial inclusion and agricultural financing. RRBs are established under specific legislative enactments and are regulated by the National Bank for Agriculture and Rural Development, an independent financial institution focused on agricultural lending. SCBs in India are generally permitted to undertake core banking and para banking activities. Certain para banking activities, such as investment advisory and stockbroking, may only be undertaken by an SCB through a separate entity, such as a subsidiary (and not departmentally), whereas certain other businesses, such as insurance distribution, may be undertaken either departmentally or through a separate entity. The RBI has mandated all banks, both Indian and foreign (including those not having an operational presence in India), to obtain prior approval from the RBI for any schemes marketed by them in India to residents either for soliciting foreign currency deposits for their foreign or overseas branches, or for acting as agents for overseas mutual funds or any other foreign financial services company. The RBI has mandated separate priority sector lending (PSL) targets for all SCBs (including foreign banks and SFBs). Agriculture, micro, small and medium-sized enterprises, export credit, education, housing, social infrastructure and renewable energy are a few PSL sectors identified by the RBI. Typically, SCBs must allocate 40 per cent of their adjusted net bank credit19 or credit equivalent amount of off-balance sheet exposure, whichever is higher, to PSL sectors. SFBs, however, must allocate 75 per cent of their adjusted net bank credit to PSL sectors. The RBI was constituted under and derives its statutory powers to regulate market segments from specific provisions of the RBI Act. The RBI holds a fairly tight rein over banks, quasi-financial institutions and non-banking financial institutions and has wide powers of inspection and audit under law, over all banks in India (including foreign banks operating through branches in India). To strengthen banks’ balance sheets, the RBI prescribes and monitors prudential norms with regard to income recognition, asset classification and provision, capital adequacy, investment portfolios and capital market exposures. The major market segments under the regulatory ambit of the RBI are interest rate markets, government securities market, money markets, foreign exchange markets, derivatives on interest rates and prices, repo, foreign exchange rates and credit derivatives. In terms of the BR Act, a bank must submit monthly returns setting out its assets and liabilities in India to the RBI and provide all other information in relation to its banking business as may be requested by the RBI. The RBI also prescribes standards for the quality of the statutory audit and internal audit functions in banks and financial institutions. The GoI notified changes to the BR Act to empower the RBI to issue directions suo moto to banks to initiate insolvency resolution under the recently enacted The Insolvency and Bankruptcy Code, 2016 (the Insolvency Code) to recover bad loans. The directors on the boards of private sector banks must also comply with the ‘fit and proper’ criteria21 prescribed by the RBI and the board composition must meet the specified qualifications as set out above. Further, no two private sector banks are permitted to have common directors. The RBI also has the power (in the public interest or in the interest of depositors, or to secure the proper management of a bank) to supersede the board of directors of a private sector bank, and to appoint an administrator to undertake its management, and to reshuffle and reconstitute the board of directors. In addition to the conditions mentioned above for private sector banks that are also applicable to PSBs, the GoI has set up the Banks Board Bureau22 as an autonomous body to appoint heads of PSBs. With effect from 1 April 2016, the Banks Board Bureau is tasked with the responsibility of appointing full-time directors and the non-executive chairman of the board of directors of PSBs in a transparent manner using a merit-based selection approach. The regulations applicable to private sector banks in respect of board composition and management are also applicable to SFBs and payments banks. Currently, all foreign banks undertake operations in India through their branches and are therefore not subject to corporate governance norms issued by the RBI. Having said that, the appointment of the chairman, managing director and other full-time directors of any branch of a foreign bank in India (if appointed) requires prior approval of the RBI. 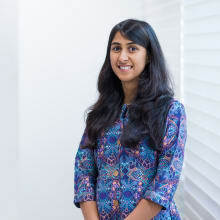 However, in terms of the RBI guidelines applicable to WOSs (once incorporated by foreign banks in India), the WOSs are required to ensure that at least 50 per cent of the board of directors comprises Indian residents, at least one-third of the directors are Indian nationals and resident in India, the chief executive officer is an Indian resident, and at least two-thirds of the directors of the WOS are non-executive directors. The regulations that govern the appointment of the board of directors of private sector banks also apply to WOSs of foreign banks in India. Generally, employees of all banks in India (including foreign banks operating through branches) are not permitted to be paid remuneration in the form of commission or a share in the profits of the bank. No Indian bank or branch of a foreign bank is permitted to approve or amend the terms of remuneration of its full-time directors or chief executive officer without the prior approval of the RBI. In consonance with the principles of the FSB, the RBI discourages banks in India (including foreign banks operating through branches) from adopting any remuneration structures that encourage or reward an excessive risk-taking approach by the management. The RBI also has the power to restrict compensation for directors and management, including the chief executive officers and executive directors of those SCBs that do not meet the financial parameters set by the RBI. In private sector banks, the variable component of the compensation payable to full-time directors and chief executive officers is not permitted to exceed 70 per cent of the fixed component in a year. However, where the variable pay constitutes a substantial portion of the fixed pay, an appropriate portion of the variable pay must be deferred for a period. Notwithstanding the general provisions of the BR Act, the RBI has granted general permission to private sector banks to pay compensation (not exceeding 1 million rupees) to non-executive directors in the form of profit-related commission if the bank in question has declared profits. The RBI in consultation with the GoI fixes the rate of sitting fees payable to directors on the boards of PSBs. Any performance-based compensation structures for the management of PSBs are also devised by the RBI in consultation with the Ministry of Finance. The compensation policy of all foreign banks operating through branch offices in India is governed by their head office policies. However, a foreign bank must submit a declaration to the RBI annually from its head office to the effect that its compensation structure in India, including that of the chief executive officer, conforms with the FSB principles and standards. 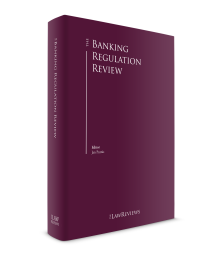 In May 2012, the RBI issued guidelines on the implementation of the Basel III capital regulations that were brought into effect from 1 April 2013. The Basel III norms are being implemented in phases, and are expected to be fully implemented by 31 March 2019. Typically, all SCBs can issue ordinary equity shares with voting rights as part of the Common Equity Tier 1 (CET1) capital. However, if SCBs issue non-voting ordinary equity shares as part of CET1 capital, they must be identical to voting ordinary shares of the issuing bank in all respects except the absence of voting rights. Typically, SCBs must maintain a total capital equivalent to 9 per cent of their total risk-weighted assets. The RBI has prescribed a minimum capital requirement of 15 per cent of total risk-weighted assets for payments banks and SFBs. Universal banks proposed for a licence under the new ‘at will’ licensing guidelines are required to maintain a capital adequacy ratio of 13 per cent of their risk-weighted assets for a minimum period of three years after the commencement of operation. To enable the banking industry to sustain the advantage of healthy financial profiles, the RBI has generally prescribed higher capital adequacy norms than those proposed under the Basel III regulations prescribed by the Basel Committee on Banking Supervision (BCBS). For instance, SCBs must typically maintain CET1 capital of at least 5.5 per cent of risk-weighted assets as opposed to the 4.5 per cent prescribed by the BCBS. Similarly, according to the Basel III regulations, the total capital required to be maintained by SCBs is 8 per cent, as opposed to the threshold of 9 per cent prescribed by the RBI. For universal banks proposed for a licence under the new ‘at will’ licensing guidelines, and any foreign banks setting up a WOS, the initial minimum paid-up voting equity capital of the bank must be 5 billion rupees. Under Indian law, no separate guidelines or procedures have been prescribed on the bankruptcy of a bank or financial institution. Typically, if a weaker bank is facing bankruptcy, it is merged with a stronger and financially sound bank. Under the BR Act, the RBI has wide powers to manage the financial health of a bank, including the power to supersede the board of directors, impose a moratorium on its functions, prepare a scheme for amalgamation or restructuring, and apply for winding-up. No court in India can approve a winding-up petition against a bank unless the RBI certifies its inability to pay its debt in writing. The RBI can also apply to the courts to suspend an entity’s banking business if the bank’s business is being conducted in a manner detrimental to the interests of depositors. In the case of a bank being wound up, the RBI may even be appointed as the liquidator. While there is no separate bankruptcy resolution regime, in terms of the Deposit Insurance and Credit Guarantee Corporation Act, 1961 (the DICGC Act), the GoI has established the Deposit Insurance and Credit Guarantee Corporation, which automatically insures the customer deposits with all commercial banks, up to a limit of 100,000 rupees per depositor. The Insolvency Code seeks to consolidate the laws relating to the reorganisation and insolvency of companies. However, the Insolvency Code is not applicable to reorganisation or insolvency, or both, of any bank in India (including foreign banks operating through branches). Recently, the GoI has proposed the Financial Resolution and Deposit Insurance Bill, 2017 (the FRDI Bill), which seeks to repeal the DICGC Act. The FRDI Bill aims to provide a comprehensive resolution mechanism for financial service providers, including banks in distress. The FRDI Bill establishes a resolution corporation as a principal agency for, inter alia, providing deposit insurance to banks and acting as an administrator and liquidator for banks. The FRDI Bill has also proposed bail-in provisions that will be implemented either by cancelling or modifying the liabilities owed by a bank, or converting liabilities into any other form of instrument or creating a new form of security. The FRDI Bill is being considered by Parliament and has not yet been notified. The principles of banker–customer confidentiality recognised in Tournier v. National Provincial and Union Bank of England 23 are recognised in India.24 Banks in India (including foreign banks operating through branches) are required to maintain the secrecy of their customers’ accounts and all information collected by them as part of the ‘know your customer’ (KYC) norms, at all times, unless the disclosure is required under law or is made with the express consent of the customer. Banks are required to maintain confidentiality of any sensitive personal data or information25 and personal information of a customer as per the data protection rules issued under the Information Technology Act, 2000. Typically, any sensitive personal data or information or personal information available with a bank in India (including foreign banks operating through branches) may only be disclosed with the prior specific consent of the customer. The RBI may also impose stringent penalties on banks in India (including foreign banks operating through branches) for violation of the BR Act or any instructions of the RBI, and has the power to cancel banking licences issued by the RBI. The provisions of the Indian Penal Code, 1860 are also applicable to the full-time chairman, managing director, auditor, liquidator, manager and other employees of banks in India (including foreign banks operating through branches); in certain cases, the ‘officers in charge’ are even liable to imprisonment. The RBI is also empowered to cancel the licences of banks (including foreign banks undertaking banking activities in India) in certain instances, such as non-compliance with licensing guidelines issued by the RBI as applicable to that bank. Broadly, the elements of total regulatory capital of SCBs27 include Tier I capital28 (comprising two elements: CET1 capital29 and Additional Tier 1 capital) and Tier 2 capital.30 SCBs are generally permitted to issue perpetual non-cumulative preference shares, perpetual cumulative preference shares, redeemable non-cumulative preference shares and redeemable cumulative preference shares as part of Tier 1 and Tier 2 capital. SCBs are also generally permitted to issue perpetual debt instruments as part of additional Tier 1 capital and debt instruments with a minimum maturity of five years for inclusion in Tier 2 capital. SCBs are permitted to issue Indian rupee-denominated bonds to eligible persons overseas for inclusion as additional Tier 1 capital and Tier 2 capital, respectively. The ownership and control requirements for PSBs are prescribed in their respective governing legislation. The GoI is required to own and control a shareholding in PSBs of at least 51 per cent at all times. To meet the additional capital requirements under the Basel III regulations, the RBI overhauled the regulations governing the shareholding structure of private sector banks in May 2016, and issued a new set of regulations for ownership in private sector banks (the Private Sector Banks Ownership Guidelines). The RBI has prescribed different limits for shareholding in private sector banks by a single entity, corporate entity or group of related entities, and has prescribed different thresholds for different categories of shareholders based on their organisation, constitution and ownership. Further, in terms of the Private Sector Banks Ownership Guidelines, there is a requirement of a minimum shareholding by promoters, a promoter group or a non-operative holding financial company (NOHFC) of the private sector bank (currently 40 per cent of the paid-up capital of the bank), which is subject to a lock-in for a period of five years. The RBI introduced the NOHFC model to ring-fence the banking and financial businesses of new bank applicants. Any persons seeking to acquire or agreeing to acquire shares or voting rights of a private sector bank by themselves or with persons acting in concert, where the acquisition results in the aggregate shareholding of the acquirer, and persons acting in concert, to be 5 per cent or more of the paid-up share capital of that bank, or entitles the acquirer, and persons acting in concert, to exercise 5 per cent or more of the voting rights in that bank, requires prior approval by the RBI. No person holding shares in a private sector bank can exercise voting rights on a poll in excess of 15 per cent of the total voting rights of all shareholders of the bank. The RBI may, however, consider an application to increase the ceiling on voting rights in phases up to 26 per cent. The Private Sector Banks Ownership Guidelines are also applicable to SFBs and payments banks in relation to their respective constitution and ownership. No person holding shares in an SFB or payments bank can exercise voting rights on a poll in excess of 10 per cent of the total voting rights of all shareholders of the bank. The RBI may, however, consider an application to increase the ceiling on voting rights in phases up to 26 per cent. Foreign investment in PSBs (including by way of foreign direct investment and by registered portfolio investors under the portfolio investment scheme) is permitted up to 20 per cent, with the prior approval of the GoI. The foreign investment limits applicable to private sector banks are also applicable to SFBs and payments banks. Under the Companies Act, 2013, public companies are not permitted to directly or indirectly provide financial assistance (by means of a loan, guarantee or other security) for the purpose of or in connection with a purchase or subscription of shares made or to be made in that company or in its holding company. Under Indian law, banks are also prohibited from securing their assets for the purpose of or in connection with a purchase or subscription of shares made or to be made in that bank, or in connection with any financial assistance granted to the bank or its associate company. The procedure for the merger and amalgamation of PSBs is different from that applicable to private sector banks, and is specifically set out in the statutes governing them. For private sector banks licensed under the BR Act, the RBI requires that the draft scheme of amalgamation must be approved by a resolution of at least two-thirds of the total number of members of the board (and not just of those present and voting), and two-thirds of the shareholders of both the merging banks. The scheme of amalgamation must then be approved and sanctioned by the RBI. The merger or amalgamation of SFBs and payments banks is governed by the provisions of the BR Act in terms of which the draft scheme of amalgamation must be approved by a resolution of at least a two-third majority of the shareholders of both the merging banks. The draft scheme must thereafter be approved and sanctioned by the RBI. Banks are also required to notify the Competition Commission of India regarding any proposed merger, except in cases where the RBI or the competition regulator have prescribed specific exemptions. The key focus of the RBI and the GoI in recent times has been on easing the stress on the balance sheets of Indian banks on account of bad loans, and on the consolidation and reorganisation of PSBs. The RBI has also been keenly focusing on the digitisation of payment systems as a medium to increase access to banking services and promote financial inclusion. The RBI has recently issued comprehensive directions for issue of pre-paid instruments. The RBI issued a revised set of directions bringing about some significant changes to the pre-paid instrument regulatory framework which, inter alia, seeks to permit interoperability between different digital wallets and between wallets and bank accounts of users. The GoI is currently considering proposals in relation to enhanced cybersecurity measures for such transactions. The finance minister clearly announced the GoI’s position on cryptocurrency and denounced it as a valid legal tender in the budget speech earlier this year; however, he also indicated the GoI’s intention to explore the use of blockchain technology in furthering digital payments. Separately, as an impetus to the digital economy, the RBI has issued more than 15 new licences to digital pre-paid payment operators in the past year alone, after a temporary suspension on issuing new licences in this field that lasted more than two years. The GoI amended the BR Act to empower the RBI to suo moto issue directions to banks to initiate insolvency proceedings under the Insolvency Code in respect of a default. The RBI constituted an Internal Advisory Committee that identified 12 accounts (totalling 25 per cent of the gross non-performing assets or bad loans in the country) for a reference for insolvency under the Insolvency Code. These accounts were identified based on a minimum exposure to banks of 50 billion rupees, of which more than 60 per cent were non-performing assets. In an unprecedented move, the RBI issued directions to banks in June 2017 to commence insolvency proceedings against 12 companies and, in August 2017, it issued a second set of directions to commence insolvency proceedings against approximately 40 defaulters, should the banks be unable to find a resolution for the accounts by December 2017. 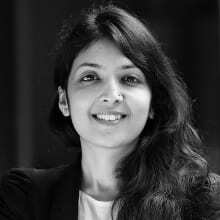 As a further move to ensure early identification and speedy resolution of stressed assets, on 12 February 2018, the RBI published the Revised Restructuring Framework (Framework), which replaces a number of extant restructuring schemes for identification and resolution of potential non-performing assets (i.e., before they become non-performing assets) that had been issued by the RBI during the past two decades or so. The Framework acts as a precursor to insolvency or resolution proceedings under the Insolvency Code. One of the most critical features of the Framework is that, from 1 March 2018, large accounts (i.e., more than 20 billion rupees), including existing large accounts undergoing a restructuring, must be restructured according to the parameters set out in the Framework within 180 days of 1 March 2018 (or the date on which a new default occurs after February 2018), and if the restructuring plan is not implemented within this timeline, the loan accounts must be mandatorily referred for insolvency resolution under the Insolvency Code. An insistence of financial inclusion and a move away from a cash-based economy are the two pillars of the various banking sector reforms being undertaken by the RBI and the GoI. The implementation of various schemes proposed by the GoI and the RBI to achieve these ends, however, continues to be a challenge, and it remains to be seen whether the proposed developments are effectively implemented to benefit marginalised sections of society. With an increase in the number of banks, the digitisation of payment services and greater access to banking services, the GoI must take steps towards addressing potential cybersecurity challenges and strengthening the current data protection laws. While significant strides have been made in introducing a time-bound and efficient insolvency regime for corporates, there still remains an urgent need for reforms regarding liquidation and bankruptcy of banks and financial institutions to protect depositor interests and secure the financial sector from potential global and domestic systemic failures. In this respect, the FRDI Bill aims to provide a comprehensive resolution mechanism for banks in distress; however, it remains to be seen whether the interests of depositors will be protected adequately as the bail-in provision for resolution could result in the use of the depositor funds to compensate for some part of the loss of the distressed bank. 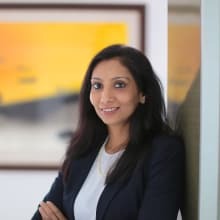 1 Gunjan Shah and Shubhangi Garg are partners and Akshita Agrawal is a senior associate at Shardul Amarchand Mangaldas & Co.
2 Public sector banks are those in which a majority stake is owned by the government. 3 Private sector banks are those that are incorporated as companies in India and have been granted a banking licence by the RBI. 4 Foreign banks are incorporated as banks outside India and generally operate in India through branch offices by obtaining a banking licence from the RBI. 5 Scheduled commercial banks are those that are required to maintain an average minimum daily balance with the RBI in a prescribed form of cash and securities to meet their net demand and time liabilities. 6 Unlike SCBs, non-scheduled banks are not entitled to borrow from the RBI for normal banking purposes, except in emergency or ‘abnormal circumstances’. Non-scheduled banks are not permitted to deal in a foreign exchange or be licensed as authorised dealer banks in India. 7 Regional rural banks are specialised banks with a focus on agricultural and rural lending in a specified region. 8 While typically all SCBs are subject to the same regulations, the RBI sometimes prescribes a different set of regulations for RRBs and SFBs and excludes them from the scope of certain general permissions granted to SCBs. 10 Para banking activities include activities such as equipment leasing, hire purchase and factoring, underwriting, credit card, insurance distribution, mutual fund businesses, portfolio management and other financial services. 11 ‘Basic Statistical Returns of Scheduled Commercial Banks in India’, Volume 45, published annually by the RBI. 13 The FSB is an international body based in Basel, Switzerland, that coordinates and monitors the work of national financial authorities and international standard setting bodies to develop, promote and monitor the implementation of effective regulatory, supervisory and other financial sector policies across all member countries. 14 Global systemically important banks are so prescribed by the Financial Stability Board (FSB) and are considered to be ‘too big to fail’. In other words, a G-SIB is a financial institution of which the distress or disorderly failure would cause significant disruption in global economic activity. 15 ‘Rs 11,400 crore PNB Fraud Case a case of systemic failure, say experts’, LiveMint, 17 February 2018. 16 New private sector banks that are granted a ‘universal banking’ licence must be designated by the RBI as SCBs for commencement of operations. The new private sector banks will then have to comply with the net demand time liabilities and other requirements as applicable to SCBs. 17 Foreign banks that have been in operation in India before August 2010 have been exempted from this requirement. A few foreign banks are reported to have applied for a WOS conversion, but the applications are under review with the RBI, and no foreign bank has so far set up a WOS in India. 18 Business correspondents are retail agents engaged by banks for providing banking services at locations other than a bank branch or cash dispensing machine. 19 Adjusted net bank credit is to be calculated in accordance with the ‘Master Direction – Priority Sector Lending – Targets and Classification’, dated 7 July 2016, issued by the RBI. 20 An independent director is a non-executive director of a company who does not have any material or pecuniary relationship with the firm, its directors or promoters. Independent directors cannot be managing directors, full-time directors or promoters of the company, its holding company or subsidiaries. 21 Educational qualifications, experience and field of expertise, track record and integrity are some of the factors considered by the RBI to assess the ‘fit and proper’ status of the directors on the board of private sector banks. The ‘fit and proper’ criteria for private sector banks is broadly similar to the criteria prescribed by the RBI for private sector banks. 22 The Banks Board Bureau comprises seven members and includes representatives from the RBI, the GoI and recognised experts in the field of banking. 23 Tournier v. National Provincial and Union Bank of England, (1924) 1 KB 461. 24 ‘Working Group on Information Security, Electronic Banking, Technology Risk Management and Cyber Frauds’, 21 January 2011, available at rbi.org.in/Scripts/PublicationReportDetails.aspx?UrlPage=&ID=609. 25 ‘Sensitive personal data or information’ is defined as including bank accounts, credit card and debit card details. 26 ‘RBI slaps fine on 5 foreign banks for violating FEMA rules’, The Hindu, 21 December 2016. ‘RBI fines three govt-run banks for violating KYC norms’, Business Standard, 30 April 2015; ‘RBI slaps Rs. 27 cr penalty on 13 banks’, The Hindu, 25 July 2016; ‘RBI imposes penalty of Rs. 2 crore on IndusInd Bank’, Business Standard, 28 July 2016. 27 The RBI has also prescribed certain regulatory norms for non-scheduled banks such as non-scheduled state cooperative banks and non-scheduled urban cooperative banks. The source of capital fundraising of non-scheduled banks is restricted as compared to SCBs. 28 Tier 1 capital is ‘going-concern’ capital, i.e., capital that can absorb losses without triggering bankruptcy of the bank. 29 Typically, for SCBs, ordinary equity shares (paid-up equity capital issued by the bank), stock surplus and capital reserves are a few components of the Common Equity Tier 1 capital. 30 Tier 2 capital is classified as ‘gone-concern’ capital, i.e., capital that acts as support for depositors in receivership, bankruptcy or liquidation. 31 The cash reserve ratio is a percentage of the total demand and time liabilities in India of the bank required to be maintained in cash with the RBI. The statutory liquidity ratio is the percentage of the total demand and time liabilities in India of the bank required to be maintained in the form of prescribed assets such as cash, gold or approved unencumbered securities in India. 32 The Development Bank of Singapore Limited and Bank of Mauritius.